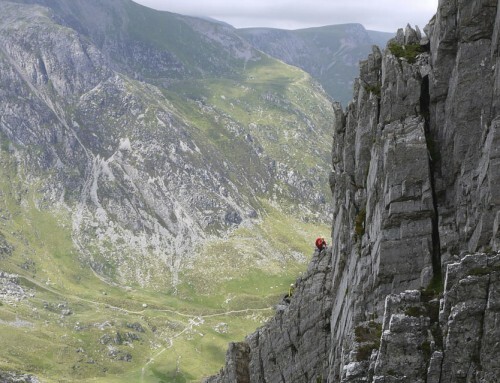 An intro to scrambling course based in the mountains of Snowdonia. As a summer hillwalker you enjoy the mountain environment and now want to begin to tackle some of the fine ridges and gullies that they have to offer. To gain the confidence to stroll along airy ridges with stunning views dropping away on either side is to open up a whole new playground! 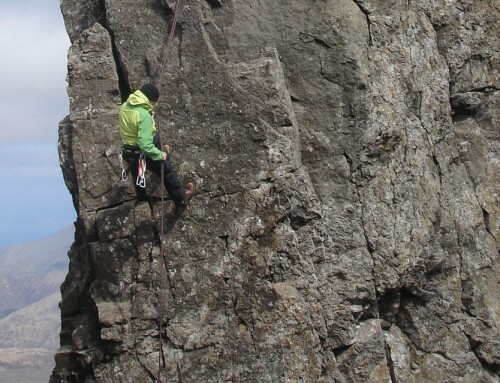 If you are feeling confident as a summer hillwalker, and would like to explore steeper ground then this intro to scrambling course is the one for you. What does the intro to scrambling course cover? 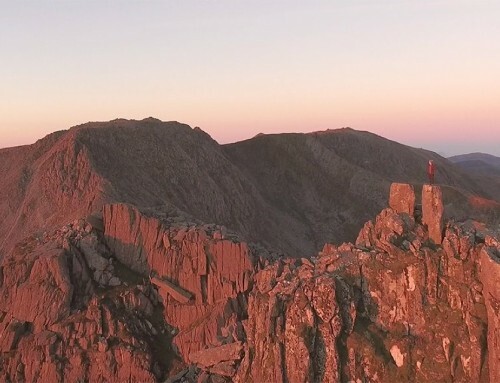 Venues are chosen on the day to suit the weather and the group but can include Tryfan, The Glyders, Y Lliwedd, Snowdon, Crib Goch (in perfect weather with an experienced group) and some of the less known rocky ridges dependant upon the weather. We run the course on a 1:4 ratio to ensure you get maximum learning and safety. 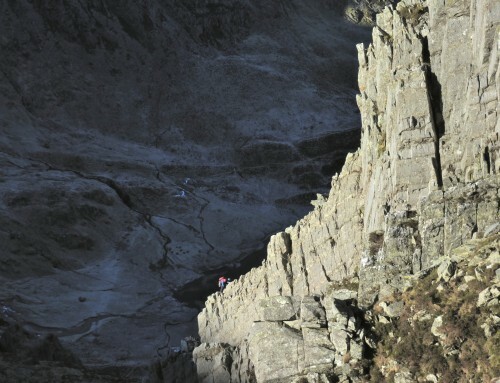 Snowdonia is an ideal base as it offers a wide range of scrambles from gullies to exposed ridges and many finish on or close to summits to give a true mountain experience. Having the ability to follow the scrambling routes also means you will often avoid the crowds on the main paths – a definite bonus! On my sixteenth birthday my Dad took me along Crib Goch, over Snowdon and Lliwedd to complete the Snowdon Horseshoe. Although I had done some scrambling before with him this felt like a milestone, a transition from hillwalker to mountaineer! Since then the mountains have become my full time obsession, whether working or playing. I aim to capture this freedom and excitement and pass it on so that you can enjoy the mountains in the same way. 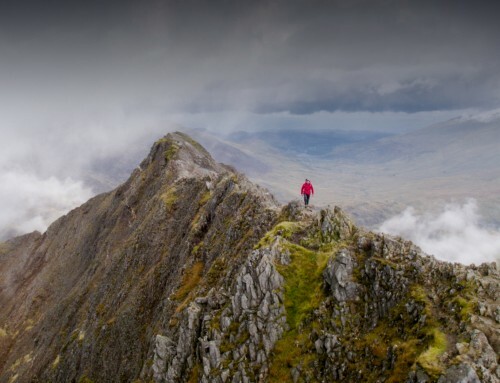 My qualification as an MIC (the highest instructional qualification in the UK), together with my passion for the mountains and my experience as a volunteer mountain rescue team member on Snowdon combine to create a course that should inspire you to do more and give you the skills to do it safely. We run the course in Snowdonia. We have a wealth of historic mountain scrambles to choose from that are all easily accessable with relatively short walk-ins. Even in poor weather there are still lots of low level or sheltered options where we can get a good day out. We run the intro to scrambling course in Snowdonia and try to ensure that all of the learning takes place as part of a mountain journey. Huw and I run the majority of courses ourselves. We hold the highest instructional qualifications in the UK (the MIC), we are monthly contributors to Trail Magazine on all things mountains, I am a member of the Llanberis Mountain Rescue Team and we each have more than 20 years of happy scrambling experience behind us. You can read more about us here. Hi Rob, how you doing? Enjoying your well deserved day off I hope? I can’t really express my gratitude to you in words for the past couple of days. It was one of the best experiences of my life, right up there with being at the births of my kids! I don’t want to sound all weird, but I somehow feel enlightened. I really can’t explain it. I feel like a new me! I can only describe it as being akin to a religous experience. I feel I have so much more confidence throughout all aspects of my life, but my legs are a bit tender, haha. I couldn’t say this to my eldest daughter as she’d accuse me of blasphemy, but after that experience, I feel as if walking is my religion, and the mountains my church! As I said to Kevin before I left the cafe, I sincerely cannot think of two people that I would rather have shared the experience with. Thank you for the photos too, they put a whole new perspective on it all. I’ll definitely keep in touch (not in a stalkery way) although I kept the signed copy of the scrambling book under my pillow last night………. (didn’t really)………. and I look forward to booking myself on another course when I can. Thoroughly enjoyed it and will defiantly look to do some other courses with you. Please send my thanks to Huw and Rob for all of their help.